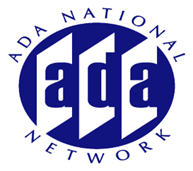 It has been over 15 years since the initial ADA Accessibility Guidelines were published. Join us as we hear from the U.S. Access Board about the status of rulemaking under the Americans with Disabilities Act. This session will discuss the status of developing and pending accessibility guidelines including the revised ADA/ABA Accessibility Guidelines, public rights of way, outdoor developed areas and passenger vessels. In addition, this session will explore the direction that the U.S. Access Board is going in related to their research agenda and future areas of rulemaking/guidance.